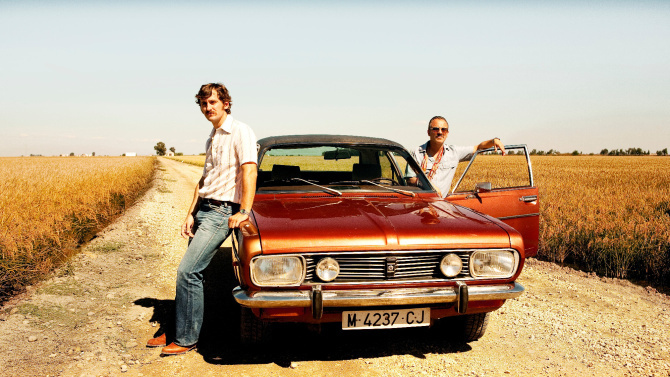 Marshland is a cracking, highly atmospheric and multi-award winning Spanish thriller set in 1980 in Spain’s Deep South, Andalusia. Two Madrid cops arrive in a small rural community to investigate the murder of two sisters. The town is a secretive clique within a nation repressed by fear, but the cops soon uncover the work of a serial killer, as well as labour trouble that threatens the region and a thriving illegal drugs trade. There’s often something comforting about seeing a movie template (in this case two, very different cops on the trail of a serial killer) well played out in a new, well-realised environment. But Marshland is also exceptionally atmospheric and deftly crafted. The movie fits a lot of story into a short running time without feeling hurried. It is tense and intriguing throughout. All of which must have helped the film sweep the boards at last year’s Spanish Oscars: it won 10 Spanish Academy Goya Awards including Best Film, Best Director, Best Actor and Best Cinematography. Of course, the Spanish like their reflections on the Franco years served up in an oblique fashion like this, but all the same it is an impressive thriller. The film is so uniquely atmospheric that the plot climax is something of a letdown although the final takedown is beautifully filmed: the film’s hot, dusty, overlit look giving way to saturated, drab colours as the storm that marks the end of the hot season rolls in. Marshland is a must-see on the big screen.